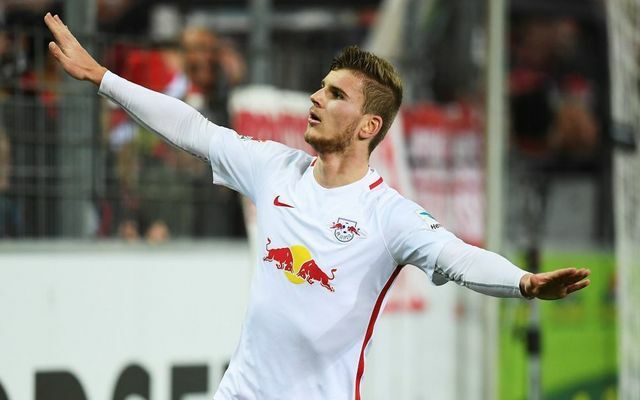 Liverpool have reportedly signalled their interest in Red Bull Leipzig’s Timo Werner. Werner is a name that will not go away at the minute, with the Reds seemingly needing some extra firepower up front and the German forward’s contract running out next year. German newspaper BILD claim that Bayern Munich are looking to finalise Robert Lewandowski’s new contract as they want to “continue to rely on him” as their first choice striker. Although he can play in any of the three attacking positions Jurgen Klopp’s employs on the pitch – Werner’s preferred position is as a central striker. The forward had been linked with a move to the German champions but it seems they may now be distancing themselves from Werner. BILD suggest Liverpool are the front-runners for Werner and that he would cost the Reds just over £50million. If Klopp signs him then a return of the 4-2-3-1 is possible, with Bobby Firmino occupying the deeper role. Interestingly Sadio Mane and Naby Keita have been seemingly trying to convince Werner to join Liverpool. “We played very well together in Leipzig, and he was one of my best friends there,” Keita told the Echo, with Sadio Mane joining in. “It’s clear; if he’ll be on the move, [I’ll] ask Timo to join us here at Liverpool. I’d advise him to join Liverpool. I like his style of play,” our no.10 continued. Werner has scored 13 goals and assisted three times in 25 appearances for Leipzig this season; featuring as a left winger twice, but failing to score or assist from this position. He’d be a welcome addition to Klopp’s increasingly impressive Liverpool squad and this latest news is promising, but only time will tell if we’ll see him in red.